Online shopping has been around for some time now and trust me, Malaysians love online shopping. I see people buying all sorts of things online now. Examples include apparel, beauty products, electrical appliances like fridge and TV, furniture, and groceries! This online shopping trend is definitely going strong and will continue to grow. Where do you usually shop online? I normally shop via Lazada, Zalora, ezbuy, and Shopee but today, I’m gonna share about online shopping platform that I use the most – SHOPEE!! 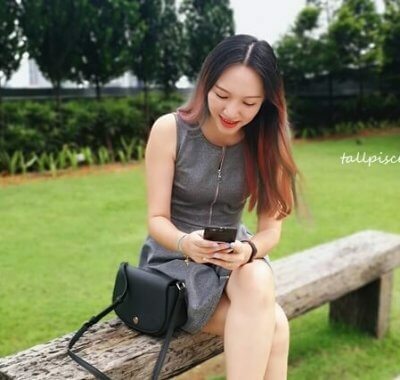 Why I use Shopee more compared to other platforms? It’s because I can save more and the sellers are pretty reputable. 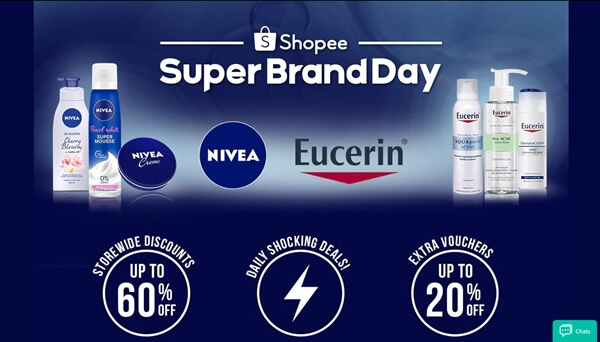 Every now and then, Shopee will collaborate with selected brands and feature these brands on Shopee Super Brand Day. During this period, you will get to purchase products from these brands with up to 60% discount! Don’t forget to also look for daily shocking deals. When you sort your search result by price, the lower priced items will appear on top. Naturally, you should purchase the ones which are high up in the result because they are the cheapest, right? Not exactly. Remember to click in and factor in the shipping fee before you decide to purchase. Sometimes, the product price is cheaper but after you factor in the shipping fee, it could end up more expensive than higher priced ones as some merchants offer lower shipping fee or provide free shipping. If you’re wondering how checking seller rating help save money, here’s my explanation. 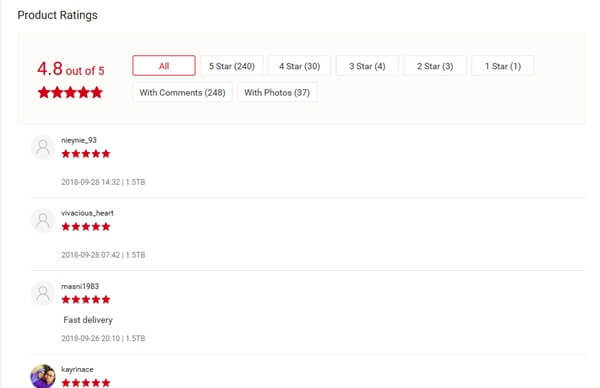 If the item/seller has a lot of bad ratings for poor quality or service, chances are, you might have to fork out more money to buy another one in the near future. In the end, you didn’t really save although you thought you did. Also, do make sure the product you are buying is authentic. Remember how our mum used to save on retail spending via coupons and vouchers? 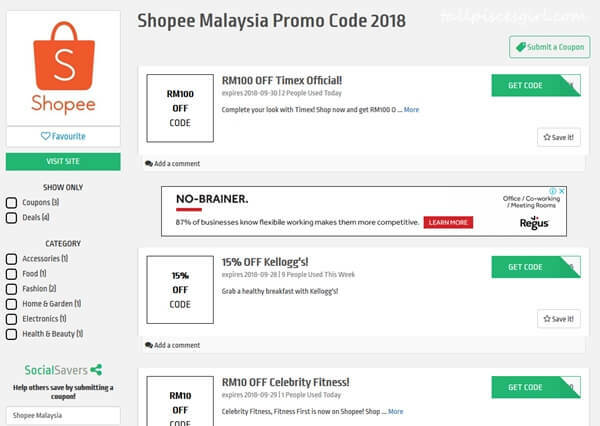 The new generation save on online shopping with digital coupons and Shopee promo codes! 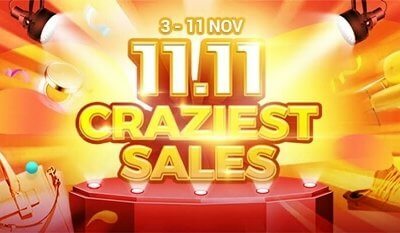 Click on the Shopcoupons link to discover all the deals and promo codes at one go. Come on, don’t be shy, there’s nothing wrong with stretching our money to the maximum! 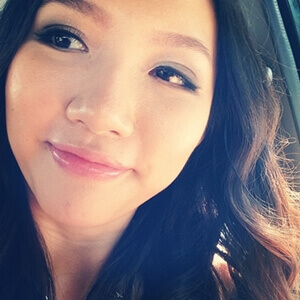 Now that I’ve shared all the tips to save more on Shopee, don’t you wanna shop immediately? Cos I do! Adios, all. Be right back. Gonna do some online shopping now. 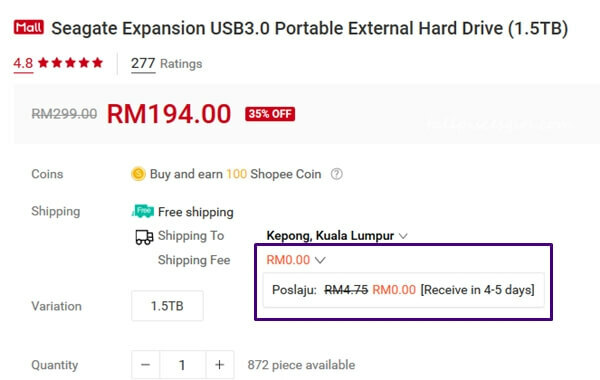 It’s just too convenient and it helps me save more cos the price is lower than retail. I’ll see you in the next post. Happy Shopping! !